Home / How Did VoIP Communications Start? 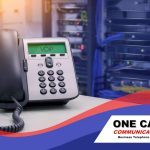 For over 10 years, One Call Communications has provided VoIP services and solutions to countless businesses across North Carolina. 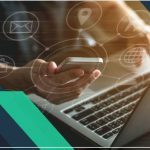 Telecommunications have come a long way since the early days of the Bell telephone, and the advancements brought about by the internet have further transformed it into a platform with features that sometimes seem more like aspects of science fiction than real life. But how did this all begin, and where is it headed? In this post, our communications specialists lead you down memory lane as they share with you a brief overview and history of internet telephone technology. Who knows, perhaps they’ll even provide a glimpse of what could be in store for telecommunications in the future. The very first conceptualization of the internet can trace its roots back to the early ’60s, where it began as a communication application for the Department of Defense and the U.S. Military. It was then known as the Advanced Research Projects Agency Network or ARPANET. However, it wasn’t until decades later when ARPANET evolved into the world wide web we know today that VoIP would be developed. One Call Communications wasn’t the first company to pioneer internet telephone services. When Skype launched in the mid-’90s as a free communication application, companies began to recognize the value of VoIP as a viable alternative to the then-costly telephone connections most businesses used. Before the turn of the century, VoIP phone calls accounted for less than 1% of all voice communications in the country. In just a matter of years, this number would make huge bounds, reaching about 25% in 2003. 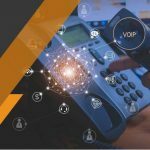 This increase is predicted to persist as developers continue to innovate Internet telecommunications, taking VoIP to bold new heights. 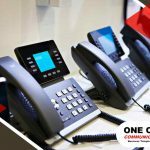 At One Call, we’re your leading provider of all VoIP and internet telephone systems. Give us a call at (888) 323-0557 or fill out our online contact form to learn more about our business telecommunications solutions today.